Shaving with the manual razor has been the common practice in olden times, when shaving meant using a blade to glide through the skin to get rid of unwanted facial hair. Until now, some men still swear by the old-fashioned manual shaving process, professing that it gives them the closest shave that they can ever have. Which is true in essence, since the blade can go as near to the skin as possible as the shaver would want to. 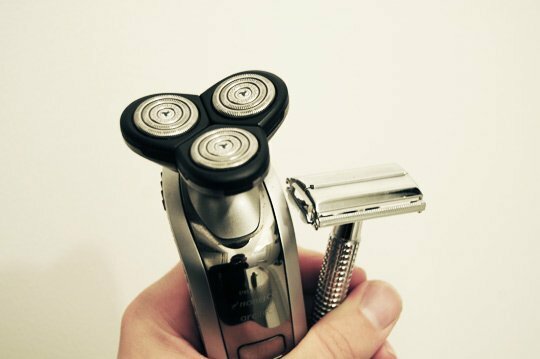 However, with the advent of cutting-edge technology, these manual razors have gradually been overtaken by good electric razors that are not only efficient, but present less risk of getting your skin cut and nipped accidentally. Incidentally, shaving has become a protocol in most surgical procedures for as long as anyone can remember. Surgeons have ordered the shaving of skin surrounding an impending operation site for two reasons: one, for better access to the area to be operated on, and, two, as a preventive measure against possible infections. But in recent times, some doctors have raised the issue of shaving, and if it does any good for the patient to be operated on. Surprisingly, studies have revealed that shaving pre-operative patients has done more harm than good, albeit unintentionally. Using electron microscopes, the skin of patients who have been manually shaved with a razor have shown nicks and cuts produced by shaving. These cuts can be small enough to be invisible to the naked eye, but they are there, all right, and have served as an entryway for microorganisms that eventually lead to infections. When the shave is done also made a difference. Patients who were shaved immediately before a surgery showed a 3.1 % infection rate, while patients who were shaved prematurely, like 24 hours or more before undergoing a procedure, had a raised infection rate of 20%. A possible explanation is that the microorganisms have had the time to settle into the cuts and wounds produced by shaving, and were able to spread into the body at the time of surgery. This was true for both manual shavers and electric shavers. The only difference is that manual shavers produce more and bigger cuts on the skin than electric razors do, simply because the blades come into closer contact with the skin. With this in mind, doctors have recommended that, if at all possible, shaving of surgery patients must be stopped altogether. If body hair is too superfluous and presents an obstruction to the surgery, electric razors can be used by capable persons on the morning of the surgery itself to limit the cuts that serve as entryway to bacteria, as well as the time that infection can set in and spread. This can be an unavoidable reason to get an electric shaver. Doctors also recommend that instead of razors, depilatory creams are to be used to get rid of body hair in order to minimize cuts and entry points of infection-causing microorganisms. This way, surgery patients need not suffer from unnecessary infections when undergoing any form of surgery. This site reviews a wide variety of electric razors from different brands. You may go through the reviews and pick the one that suits you most.